This week I will begin with a product highlight, featuring an appliance I have come to love. My past columns discussing appliances were extremely popular, and I have a feeling this one will resonate with many of you. About five years ago I bought a new home. It came with an old washer and dryer, but unfortunately the washer failed after one use. It was not covered by my home warranty so I did some research before going shopping. I thought beforehand I would be getting a trendy front loader, but my research showed numerous complaints of long wash times, mold, musty smells, and reliability and operational issues. At least one person I knew said they switched back to a top loader, and another junked a $1,200 machine after only three years because of reliability problems. I went to the locally owned, independent retailer where I buy all my appliances and spoke to the proprietor, Rick. I was now unsure about a front loader, and as I walked through the aisles of top loading washers everything I saw looked and felt cheap, or was loaded with bells and whistles I did not want or need. What I wanted was a solid, reliable machine that was unfussy and easy to use, that would clean my clothes quickly and last a long time. Have you ever heard someone say, “They don’t make them like they used to?” A Speed Queen washer may be one of the few products in existence today that is made even better than they were in years past, without the cost or corner cutting that diminishes quality. 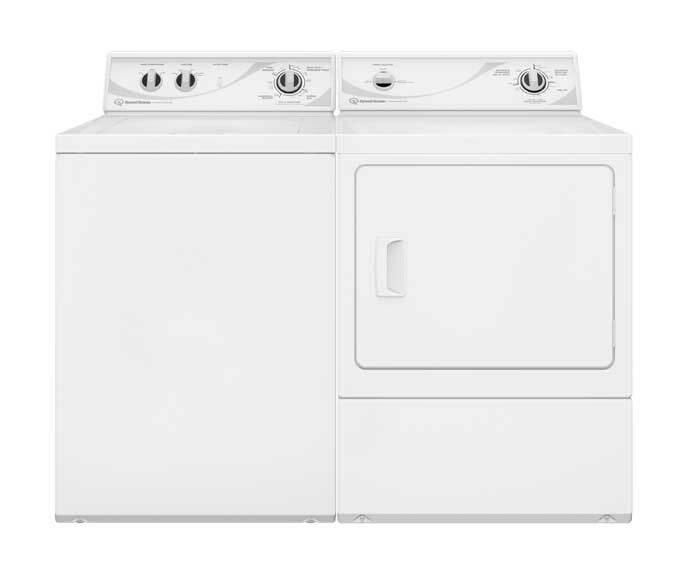 Manufactured exclusively in Ripon, Wisconsin to the same commercial standards as Speed Queen Laundromat equipment, they are expected to last at least 25 years doing 8 loads a week on average. It has an industry-best 3 year parts and labor warranty, a 15-year transmission warranty and a lifetime warranty on the drum. It also looks and feels like quality. Even the paint has the deep, solid finish you would expect on a luxury car. My Speed Queen may use a bit more water and electricity than those newfangled machines, but I have clean clothes fast (a cycle is only 28 minutes) from a machine that will last decades, and I have absolutely zero reliability or operational issues. I am not alone in my enthusiasm. If you read user reviews online you will not find a more fanatically loyal group than Speed Queen owners. When my dryer died last week and joined the original washer in appliance Heaven, I didn’t need to shop around. I called Rick and the matching Speed Queen dryer was there that afternoon. Available only at independently-owned retailers, a mechanical control, top-loading Speed Queen washer lists for $879. Learn more and find a local dealer at speedqueen.com. Q. Can I connect my Amazon Dot to an old stereo receiver? A. You can connect your Amazon Dot to a receiver with a miniplug-to-RCA stereo connection cable. They sell for about $5.